It’s been assumed that the rarity of young craters on Earth (those created 300 to 600 million years ago) is attributed to preservation bias – craters have been erased over the years by erosion and the movement of the Earth’s plates. 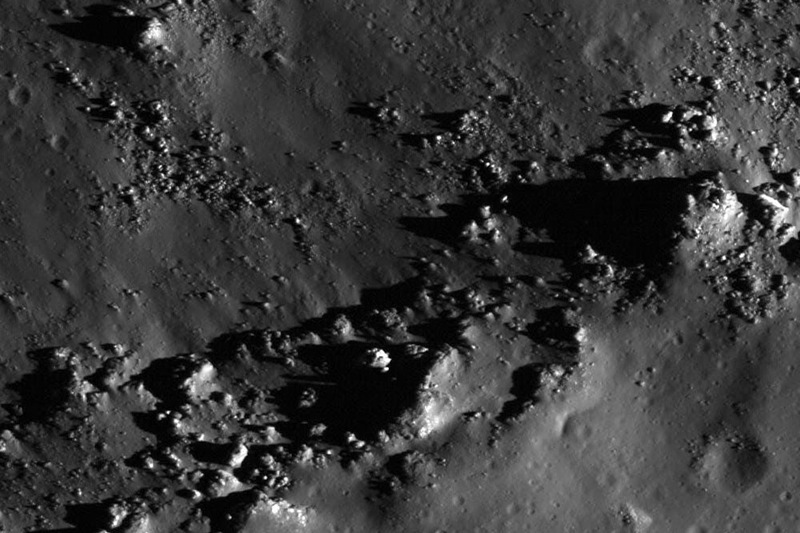 Since then, however, using a new method to date craters on the moon, my colleagues and I have determined that the rarity of craters 300 to 600 million years old is due to a lower bombardment rate. In fact, the bombardment rate has increased by a factor of two to three in the past 300 million years. To test this idea, we compared the Earth’s crater record to the moon’s in an article published in the journal Science . We suggest that the scarcity of terrestrial craters that are 300 to 650 million years old is simply due to a lower bombardment rate during that period – and not due to preservation bias. Traditionally, dating craters is done by recording the number and size of superimposed craters on the ejecta – the material displaced by impact – of each crater. However, these methods are extremely time-consuming and limited by image quality and availability. The size and age distributions of lunar and terrestrial craters larger than 20 kilometres over the last 650 million years have similar shapes. This implies that large crater erasure must be limited on stable terrestrial terrains. It also implies that the observed deficit of large terrestrial craters between 290 and 650 million years is not preservation bias, but a reflection of a distinctly lower impact rate. If we had observed more dominant erosion, the age distribution of terrestrial craters would be strongly skewed toward younger ages. Sara Mazrouei is a sessional lecturer and planetary scientist at the University of Toronto.